For decades, these classic shorts have played a part in base-camp antics, teenager farm jobs and dry walling a friend’s first house. This season they made them better with an updated, modern fit and sturdy 97% organic cotton with 3% spandex for stretch. The straight waist has belt loops and zippered, double-needle fly construction with a metal button closure. 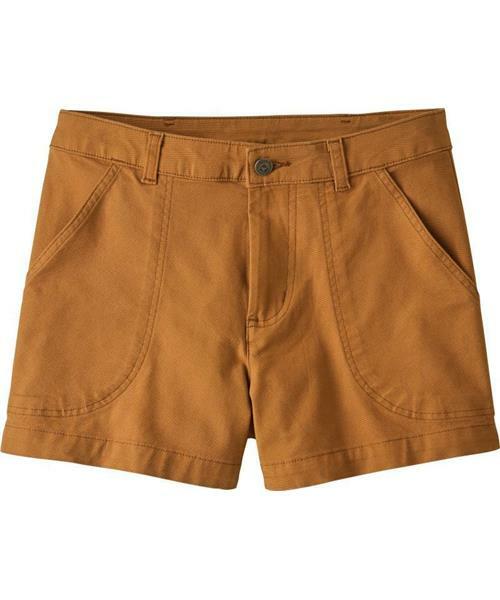 A classic Stand Up Shorts® front pocket design features double-needle top stitching for added durability. Back pockets have crescent moon–shaped openings with hook-and-loop closures to secure lip balm and hair tie. Inseam is 3".